If you’re still sitting pretty using a BlackBerry smartphone, then you’re probably getting your music fix thanks to BBM Music. Although it’s difficult to say how the music app is performing against the competition, it has been updated recently to provide users with some new features and modes. For those of you who happen to be a member of BlackBerry Beta Zone, you can actually grab yourself the latest update for the beta release of BBM Music – version 1.2.0.16. As a whole, it doesn’t drastically change the experience, but nevertheless, it boasts enough new content to keep users happy in the meantime. With the social networking driven music app, the latest version packs along the ability to ‘favorite’ songs and contact, addition of an intelligent shuffle mode, new users will have a default friend listed as a contact, and packs some enhancements that consists of improved notifications, a faster start up time, and easier access to your account from the profile screen. Also, before you go on to accept a new invitation request from a friend of a friend, you’ll be able to view their songs before accepting. Again, you’ll need to be BlackBerry Beta Zone member to download the latest update, so if you’re not a member, all you’ll have to do is just sign up. 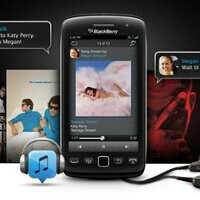 Trust us, it’ll come in handy if you want to experience the latest and greatest regarding BBM Music. No Titanic, you are already sinking. RIM stop doing all this non sense stuff and start making better phones if you wanna survive!! !